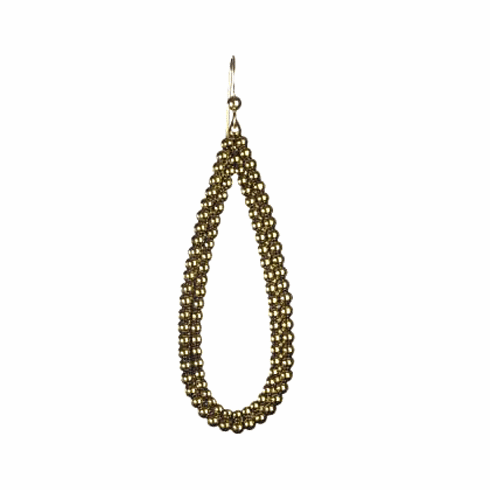 High quality beaded studded style "Anya" earrings in antique gold finish. Lightweight and hypo allergenic. Approximate measurements: length 3"